Staying in Paris during Christmas holidays is a real entertainment. You will enjoy with your family or your children many attractions and shows organized. Here are some good plans to do during the Christmas holidays in Paris. 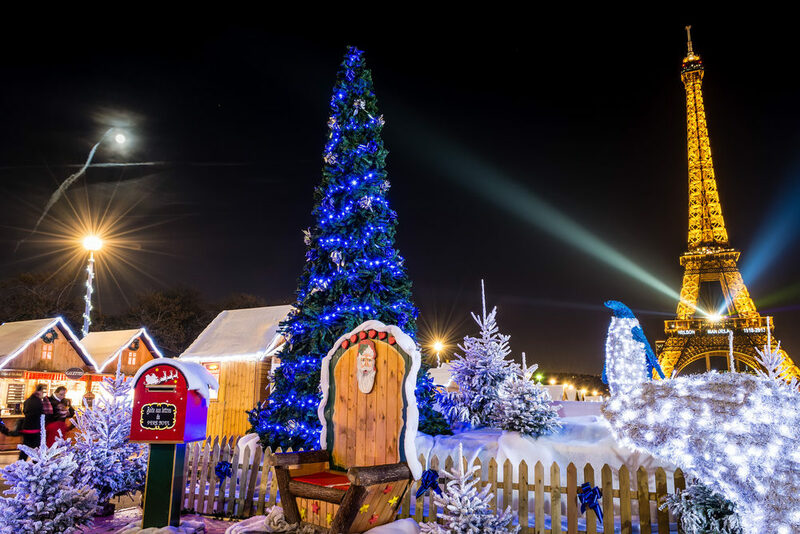 You can discover several traditional Christmas markets in different parts of Paris: the Christmas market on the forecourt of the Notre-Dame cathedral from December 15 th to 24th with its regional gastronomy and its jewelry or the Invalides market from December 15 th to 31st in the Army Museum. Discover also the Afro-Caribbean Market from December 16th to 17th in the 3rd district and the Vintage retro market (dresses, hair styling gadgets) at The Bellevilloise from December 16th to 17th with a 2-euro entrance in the twentieth neighborhood. You can access to the skating rink at the Hôtel de Ville freely for all with 6 euros the rent o skates and you have to wear gloves. It is open until 22 pm in the evening and the night on Fridays and Saturdays evening. Monitors are present to help you. Do not miss the illuminations of the Champs Elysees with the inauguration of the avenue by Lilly Rose Deep, the daughter of Johnny Deep and Vanessa Paradis, on November 22 nd at 18h in collaboration with the mayor of Paris. These illuminations last until January 8 th, 2018. Do not miss the free shows on the theme of Christmasl in the various libraries of Paris: the show and story for children « Le loup s’est égaré » at the library François Villon on December 16th or the show for children from 3 to 6 years old “Les Loups de Noel et autres histoires d’hiver” at the Benjamin Rabier library on December 20th. You will also be able to discover and participate to a creative workshop around Christmas at the Marguerite Yourcenar media library on December 2nd. The entry foran adult adults cost 14 euros and 5 euros for children from 4 to 11 years old and free for children under 4 years old.